← Yarn Control and Keeping my Sanity! 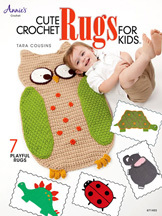 A few months ago, I got 2 new crochet leaflets: “Quick & Easy Crochet Cowls” by Stitches ‘n Stuff (Sue Childress & Frances Hughes) and “Cute Crochet Rugs for Kids” by Tara Cousins, both by Annie’s. I’ve made some crocheted rugs before, but I’d never made a crocheted cowl before, until recently (I know, I’m a little behind the times!). What is it about cowls that appeals to so many fiber lovers these days? And why are there so many different sizes that can be made? There are short, narrow cowls that just drape around your neck like a wide necklace all the way up to long, wide cowls that can go around your neck several times and also fit over your head. They can even be made much like triangular scarves, but worn backwards with the wide edge at the front and tied or buttoned in the back! Cowls can be made from many different fibers and weights of yarn, from super fine to chunky, too! This is a really nice leaflet and I look forward to making some of the cowls in it. In fact, I’ve already taken the plunge and designed a hooded cowl for a major crochet magazine (I’m sorry, but I have to keep the name of the magazine and month of the issue a secret for now). It was really fun to design and I love the colors in the yarn! It’s very soft and fluffy, which I think will be great for the winter! 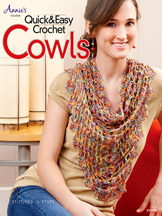 You can find this cowl book for sale at Annie’s here. These are really cute and I bet kids will just love them! Of course, my kids are too old for rugs like these (my 3 sons are all in their 20’s). But perhaps when I have grandkids (hint, hint! 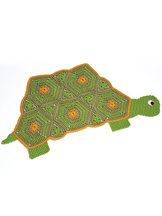 ), I can crochet them some fun rugs like these! 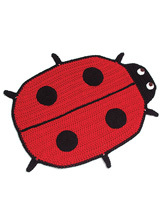 You can see all of the rugs in the book on the Annie’s website here. 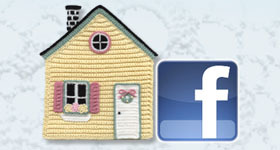 I hope you’ve enjoyed this look at 2 new crochet leaflets with lots of new crochet patterns in them. 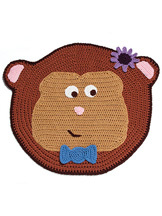 This entry was posted in Book review, Crochet book, Crochet patterns and tagged crochet book, crochet patterns. Bookmark the permalink.